The “guests” field is a special field for collecting a count of guests the person registering is bringing to an event. This will apply to the count of total registrations in the back end as well as the attendance messages and limits. By default, the “Guests” field is counted as additional guests the person registering is bringing. So the total number of registrations that will be counted towards the event will be guests plus one for the person submitting the form. For example, if a person submits a registration with “2” guests, the total number of new registrations will be “3”. 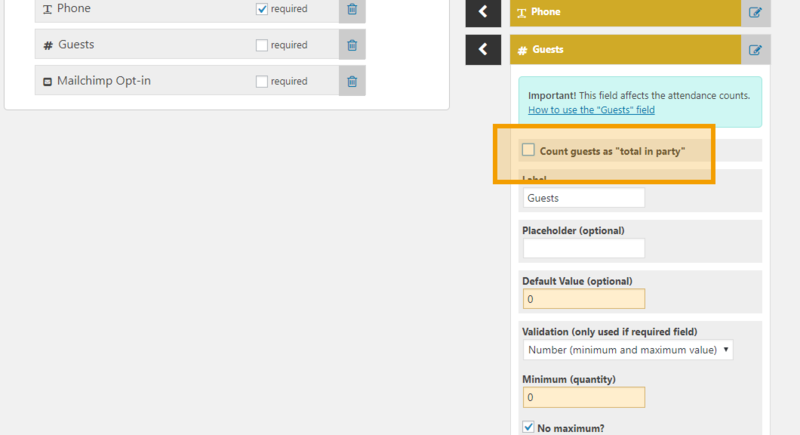 If you would rather have the “Guests” field reflect the total number of people the person registering for the event is bringing, including his or herself, check the box Count guests as “total in party” pictured below to do so. The total number of registrations that will be counted towards the event will be the number entered in the “Guests” field. You can set the minimum number and default value for this field to “1” to help your event attendees understand. Your visitors will not be able to exceed the registration limit inclusive of the number of guests they submit. 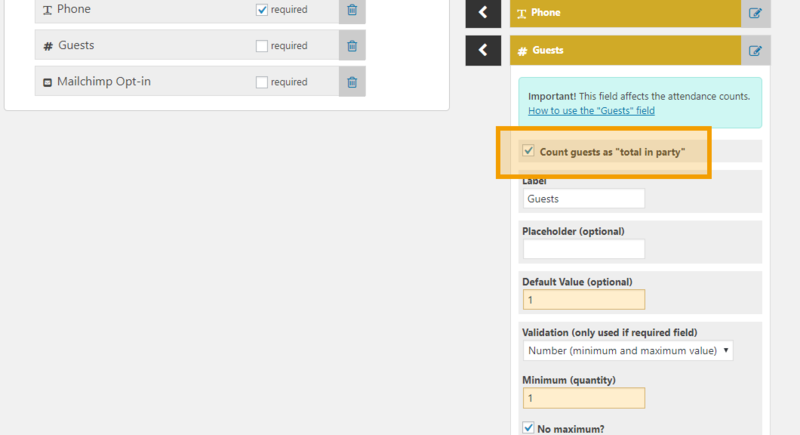 Using the default “guests + 1” setting, if there are 5 spots left, the most a visitor can enter into the “guests” field will be 4. 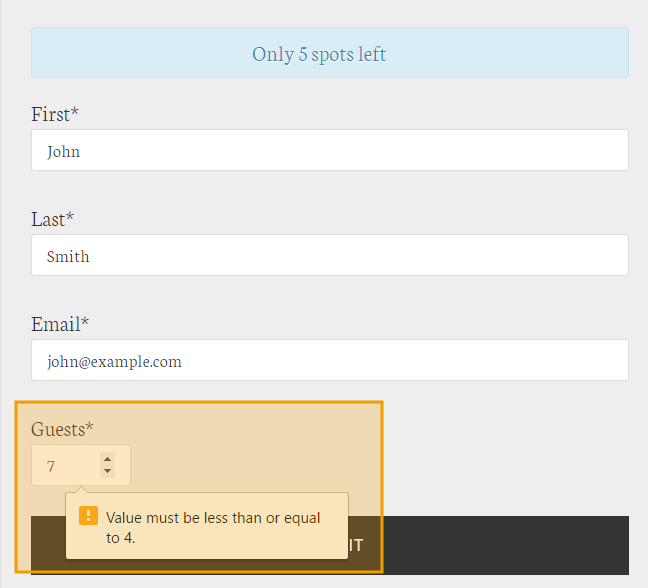 If the visitor tries to enter more than 4 for the guests field, they will not be allowed to submit the form and will get an error message from the browser. For the “total in party” option, this visitor would be able to enter up to 5 but no less than 1.